Why you will never have success unless you change the outcome. Did you find success with your 2017 goals? If you didn’t, let me tell you why. However, let’s first agree to define a goal as reaching toward something we desire. Each January brings an influx of desires, wishes, and promises to ourselves and to others. For example, every January, gyms are full of people who have resolved to get fit. Maybe after binging on sweets and alcohol for the last three months of the prior year, they make a promise to work on their own wellness and undo all of the damage they did. 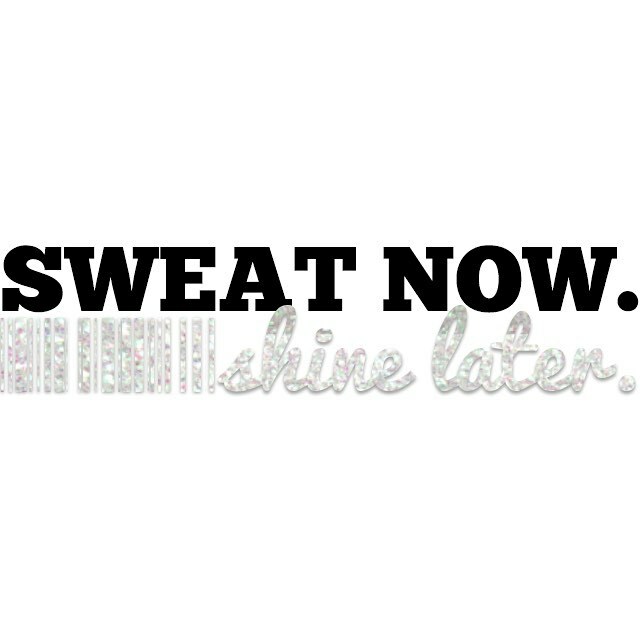 Unfortunately, getting out of shape didn’t happen overnight and it will take time to get back into shape. Therefore, when the majority of people fail to see instant results, they become frustrated and stop trying. Seems like the same can be said for nearly any resolution made. Ultimately, we fail when our desire to change is overshadowed by our willingness to stay the same. Click To Tweet Consequently, here are my top reasons we fail and how to overcome our own objections to becoming successful in achieving those desired results. Point blank. Much as you may want to, you just don’t care anymore. After all, you can buy larger clothes, save money by purchasing generic coffee, you can sleep later if you don’t have to be at the gym early. Sound familiar? Subsequently, when the effort to move forward becomes shadowed by apathy, you can kiss your goal and therefore success, goodbye. How do you stay focused? 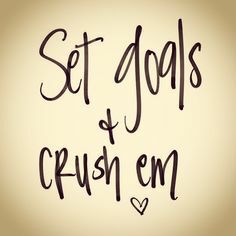 WRITE DOWN YOUR GOAL(s). Begin by putting your thoughts in writing and hang it somewhere you see it every day. Better yet, make multiple copies and put them on the bathroom mirror, in your car, your purse, your pajama drawer, in the kitchen pantry. Ultimately, this will be a constant reminder of your desired goal and help you to stay on track. You didn’t believe in yourself. You never believed you would be successful. Initially, you made a goal because you felt like you should, not because you actually thought you would reach it. As a result, you wanted to test the waters and see how you would do without really putting in your all. Sound familiar? 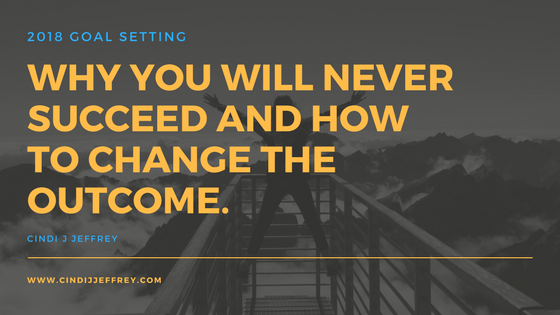 When I started my home-based business, I originally gave myself 3 months to find success…that soon changed to six months and now I am going on five years. Why? Because I realized that growth is ongoing and I am continually learning and pushing my own boundaries. There are times when I believe in myself wholeheartedly and there are times I feel as though I have no idea what I am doing. So, how do I get back on track? If you want to pursue this train of thought further, see my blog post on broken thinking and how to fix it. One of my favorite shirts says “fake it till you make it.” You have to walk the walk and talk the talk. I have learned that repeating affirmations truly does help me to believe in myself and what I am doing. You truly have to envision your end result before you can even take the initial steps to reach that goal. Pinterest has amazing affirmations for virtually any goal you are looking to meet. I know it may feel awkward to use them if you haven’t tried them before, but trust me, once you believe in yourself, you become unstoppable! You failed to make yourself a priority. In January you were on fire and worked daily on meeting your goals. You had post-it notes of your to-do plan everywhere you could see them and you talked about your goals to anyone who would listen. However, February came around and you found yourself being drawn into more activities and by May, you had forgotten about your own priorities. This is easy to do as we get busier and our calendars quickly fill up. At this time, you begin to make yourself a priority by scheduling yourself in your planner. This is critical if you find yourself slipping on your goals. Find a time slot and book time for YOU…and keep those appointments. You let other’s dictate your decisions. We have all been there. It is easy to succumb to the pressure of a good friend or loved one and we get suckered into an activity we are not so sure about. Maybe it was a networking group or a business opportunity. Perhaps it was a new gym or book club. Regardless, we didn’t really think it through, however, we decided we would give it a go…because we felt pressured by someone else. Here’s the scoop. This will never work unless you are all in. Get out. Say no. Let go of the guilt. Bye Felicia. Right? Let’s be honest. Sometimes it just takes too much effort to keep going. It takes work to stay on task. You must have vision, passion, and forbearance. There must be a deep desire to want to reach a destination, regardless of the roadblocks or life events. Things will happen. Suddenly you become very ill or require surgery or you may experience an overwhelming loss. You may doubt yourself and/or the process. Regardless, YOU are the reason you have not successfully met that goal. Every year more dreams die due to failure to continue the process than any other reason. When we get lazy, we no longer care about the outcome, we stop believing in ourselves, we stop making ourselves a priority, we let others dictate our actions and we fail to meet our goals. Are you ready to make a resolution or two for the New Year? You are if you are committed to being a better you. Resolutions and goals are promises to ourselves that we will do better because we deserve better. What if we treated ourselves as we do a valued loved one? Would you continually disappoint someone important in your life? No? Why are you willing to do that to yourself? After all, you are responsible for your success. Don’t leave that up to chance. I invite you to go to: http://cindijeffrey.wtfitworks.com and join the movement. This is a free app that will provide you will motivation, fitness regimes, healthy eating tips, and opportunities to win prizes. Remember, we are stronger together. Feel free to send me an email via the contact form below to set up a free consultation to talk about your own 2018 goals. I would love to help keep you accountable. For the majority of us, as we grow older and life becomes busier, we lose sight of our passions. In this regard, Bonnie Eisenhart is no exception. From a young age, she was an avid dancer and studied jazz, tap and ballet. Growing older, she also found a deep seated love of musical theater. As a result, Bonnie derived immense satisfaction from being on stage and engaging her audience. Little did she know she would once again be the center of attention with The Barre Code and have her passion reignited. Upon graduating from high school, Bonnie attended Carthage College in Wisconsin. Here, Bonnie studied Business while actively participating in both her sorority and the College dance team. These experiences provided a sense of belonging and a flurry of never ending activities. Graduation brought a move to Chicago and employment in the corporate world where she specialized in property management and functioned within a Global Researching company. Consequently, as she learned more about business, she found herself missing the social interactions from her former activities. Therefore, while she was growing professionally, she also felt as though she were lagging in other areas of her life. After leaving work one day back in 2010, Bonnie walked by The Barre Code in Chicago and was intrigued. She was instantly hooked and as a result she began instructing classes 3 months later. Finally, she discovered what had been missing in her life. The relationships, the movements, in addition to her own personal growth. As a result of walking through those days, she discovered what was in her heart, prompting her to continue working in both the corporate and for The Barre Code. During this time, she studied and within the next 18 months, she was a master trainer. Fast forward two years and introduce an incredible fiance and a move to Omaha, Nebraska. With a little research, Bonnie discovered The Barre Code Dundee and reached out. She was hired with the studio as a Master Trainer, instructing both classes and instructors. These experiences provided the stepping stones to her next adventure. Hence, in 2017, Bonnie will be opening her own studio, The Barre Code West Omaha. This will be the place where she will combine her passion and expertise to provide an eclectic wellness program for all ages. For Bonnie, this is the right place and the right time for her to rise to her next level. Because The Barre Code is a franchise, she already has corporate support. In addition to Corporate and her own personal experiences, she now has the ability to create an empowering space designed for all fitness abilities. With a personal belief in balance, Bonnie understands that moderation is the key to optimum happiness and is careful to balance her own personal life. Therefore she makes sure to spend quality time with her new husband and her adorable puppy. In addition, here’s a little known fact, Bonnie is an avid ice cream connoisseur, an indulgence she enjoys to balance her love for fitness. Bonnie loves that The Barre Code is designed to meet the unique needs of a women’s body. The Barre Code provides a low impact workout that can be modified for each individual’s own ability level. She understands that building strength is imperative for women, particularly as they age, for the prevention of osteoporosis. The entire workout combines cardio, strength training and restoration, allowing a full body workout for optimum benefits. Of particular importance are the core muscles, which are imperative for good posture, proper form and maintaining balance. While she instructs her students, Bonnie is carefully monitoring her class participants on proper form. Therefore she is always ensuring safety and good positioning, again which are critical for optimum function. By doing this, she ensures her client’s increase muscle strength while also building a trusting relationship with her, their instructor. Bonnie! Passion and Leadership Prevail! Courtesy – courtesy is extended to every person who enters her studio. It can be seen between trainers, between trainers and students and among the students themselves. Communication – communication is critical to provide a safe environment. Bonnie is excellent at letting her students know what to expect, how many reps are left, and encourages each person to push harder. Proactive vs reactive – knowing her students and understanding their individual needs helps Bonnie to teach each student to the best of their own ability. Honesty is key in building those relationships that allow her to provide her best service possible. Bonnie admits to being held to high standard by her students. By holding her to high standards, she is pushed to continually improve upon herself and her skills. Subsequently, seeing her clients exhilarated after a workout exhilarates Bonnie, also. As a result, the student’s responses push her to work harder, to push herself more, and to ultimately become a better version of herself. 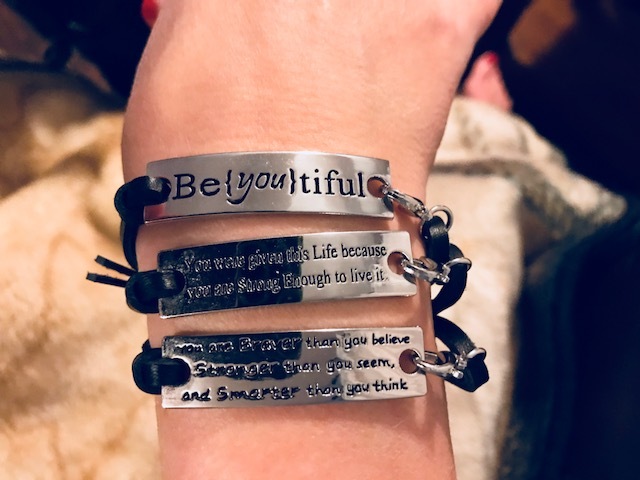 Bonnie extends a promise to each of her students. She promises that when each and every one of you walk out of her class, you will feel great! How? She does this by EMPOWERING her students. Each student is in complete control of their workout while being led by a specially trained instructor. Upon completion of the workout, each student is guided through a cool down period to prepare them for re-entry into the outside world. Furthermore, you can find out more about Bonnie and The Barre Code West at: http://www.thebarrecode.com/studio/west-omaha/. You may also follow Bonnie on FaceBook for updates on the new studio and follow her evolution. Feel free to message her and join the mailing list for promotions and special events! Finally, simply send her a message and introduce yourself to begin the next leg of your fitness journey!